In a double opt-in process a subscriber has to confirm his/her signup first - by clicking a link in a confirmation email - and after that he/she can receive the autoresponder series or any kind of email. This process ensures that you only send emails to subscribers who really wanted to signup to your newsletter and you won't send emails to subscribers who were signed up by someone else. The following figure shows the components of the double opt-in process in the order of the process. First create a double opt-in signup form. Read this tutorial about it. If you've done that the signup form, the signup confirm page and the double opt-in confirmation page is created. 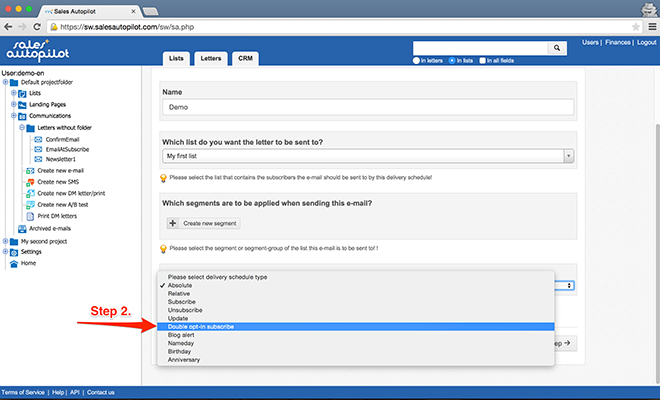 Embed the form into your webpage or Facebook page. The double opt-in signup form has a special code that you have to use in the double opt-in confirmation email. 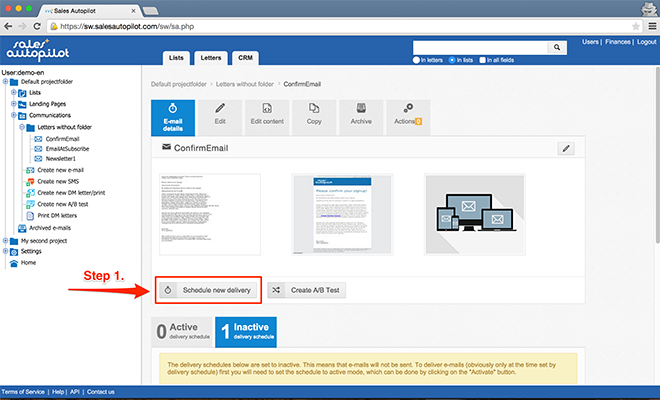 Create a new email. Read this tutorial about it. Insert the merge tag of the form into the email content. You can change the text between the merge tags. When the software sends the email these merge tags are replaced by a link. 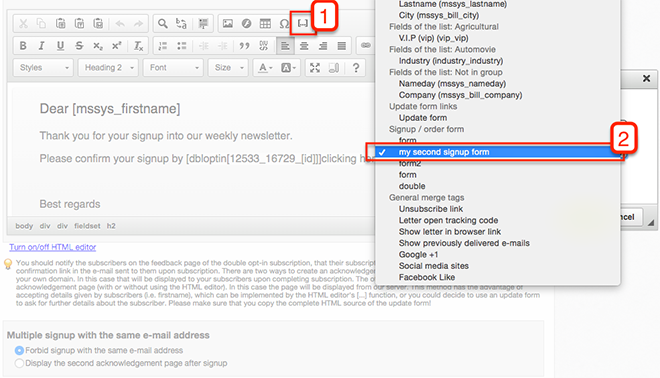 Then create a "double opt-in subscribe" type delivery schedule for the email. Read this tutorial about delivery schedule types. In the same way you can create an email with a SUBSCRIBE type delivery schedule that will be sent AFTER the subscriber confirms his/her signup. With this all elements of the double opt-in process are ready.